Shaun MacDonald was the hero for Swansea as they eliminated Brentford in the Carling Cup first round. Shaun MacDonald was the hero for Swansea as they eliminated 10-man Brentford in the Carling Cup first round. The 20-year-old midfielder netted his first senior career goals after 31 and 69 minutes as Roberto Martinez's successfully side-stepped a potential humbling at the Liberty Stadium. Defender Marcus Bean was sent off late on for two bookable offences to further compound matters for League Two side Brentford. Both teams made a tentative start and it took until the 10th minute for Swansea midfielder Jordi Gomez to create the first noteworthy chance of the evening, firing wide from 20 yards. MacDonald tested Brentford goalkeeper Ben Hamer from 20 yards shortly after and the home side made their early pressure tell by breaking the deadlock just after the half-hour mark. On-loan Manchester United youngster Febian Brandy made progress down the left flank before crossing for MacDonald to rifle home at the back from six yards with ease and notch his first career goal. 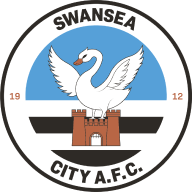 The visitors battled to get an immediate foothold back in the game as Adam Newton was denied by Swans stopper Dorus De Vries from 25 yards, while MacDonald and Owain Tudur-Jones both went close to doubling Swansea's lead before the break. In a scrappy second half, Jason Scotland saw his 20-yard goalbound shot blocked by Bean before MacDonald added his second goal of the night with 21 minutes remaining with a neat left-footed strike from the edge of the penalty area. 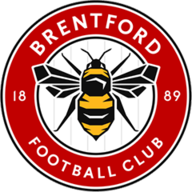 Gomez and Guillem Bauza both spurned late chances before Andy Scott's Brentford side struck the post through Moses Ademola from 18 yards out. Bean was then dismissed four minutes from time for a second bookable offence and Bauza missed a gilt-edged chance to add a third when he blazed wide from six yards.